When Samsung released the Galaxy S3, it was a record-breaker. Everybody was crazy about it. Imagine a 4.8 inches Super AMOLED screen, 1.4 GHz quad-core processor Cortex A9, 8 MP, 3264×2448 pixels, auto-focus, LED flash camera and Android 4.1 Jelly Bean going on the market. It was an instant success. 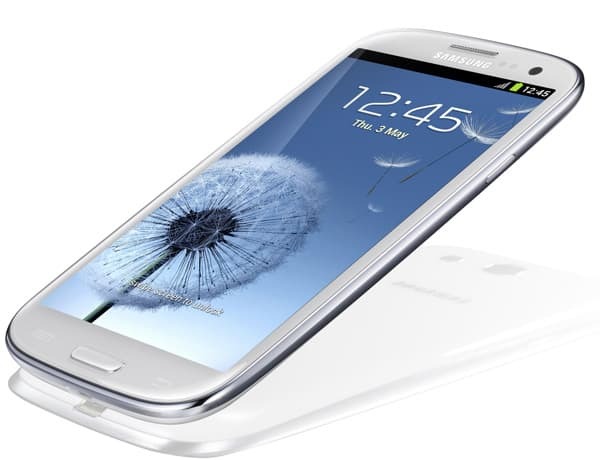 Since it’s launch, Samsung has sold over 20 million units of the Galaxy S3. That’s a record for the fastest selling Samsung phone to date. So now maybe you are considering whether to buy a Galaxy S3 or…not to buy a Galaxy S3. Why shouldn’t you buy it? Well, I admit I don’t have many arguments to support this statement, but there have been some reported issues with new Galaxy S 3’s. Despite this impressive numbers and specs, we have found out that a lot of people have reported issues with their Samsung Galaxy S3’s. That’s why we decided to put together all these Galaxy S3 problems and try to find a solution for them. No caller voice when making and receiving a phone call + signal disappears for 1 minute when you hang up. It seems that a lot of people have complained that their Samsung Galaxy S3, brand new, would not play any sounds during a phone call. Some have tried to restart the phone each time this happens, some have tried to do a ‘factory reset’, but the most frequent solution seems to be –> Taking your phone to the service. If your warranty is still available, which it should, take your Galaxy S3 to the service and tell them your Issue. They will probably say it is a firmware problem or even a hardware problem with the speakers. Another solution to this problem that we found pretty common is to download a program called SoundAbout from Google Play. It seems that this temporarily solves the problem, yet it is not always working. SD card Problem. Music Player crashes and ‘file manager’ applications show that there’s nothing on the SD card. Apparently, some users have problems with their SD card in the Samsung Galaxy S3. It seems to work for a while and then it suddenly crashes. A phone restart temporarily restores functions, but not permanently. You can’t just keep restarting your phone for ever. The common resolution to this issue is –> Change the SD card with a new one because of several reasons: it might be faulty, it might be too fast for the device, it might not be compatible. We haven’t found any better solutions yet. This problem was reported a lot of times. It seems that Samsung really messed some things up here. So, many Galaxy S3 users have reported that their new Samsung Galaxy S3 stops charging after a while. This means that they plug the phone to the charger and it doesn’t charge. Or it charges really slow. If phone is restarted, the battery starts charging again. From what relates of these stories, it is most certainly a Galaxy S3 firmware problem. Note: This also happens with USB cable charging. – Perform a 100% battery charge, remove battery, and after 5 minutes plug it back in. If none of these resolutions work, take your phone to the service center because it can be a battery problem rather than a firmware problem. Samsung Galaxy S3 battery drains too fast. Well, this problem is already getting too old. Of course the battery drains fast, look at the size of that screen and all that specs. A lot of people reported that the battery drained in less than a day, knowing that they only bought the phone for a day or two. In this case, the most probable situation here is the fact that everybody who buys a new phone will play on it in the first week almost non-stop. This will certainly drain all the battery immediately. – Enter Settings, Wi-Fi, Advanced and look for ‘connect to Wi-Fi while asleep’ option. Uncheck it. – Check out the Battery application in your Settings and see which applications are using the most of the battery and try to optimize it. The last thing you have to do is look for the latest firmware all the time, because usually an updated firmware will solve battery issues. Problem with the way Gallery displays pictures. Apps coloring looks blue. There haven’t been many resolutions to this problem. It seems it is just the way Galaxy S3 is. You can try and install an application such as ‘QuickPic’ from Play Store to display pictures rather than using Gallery. Stock music player stops suddenly. Another common reported issue of the Samsung Galaxy S3 is that the music player that comes installed on the device stops on its own, or it restarts or pauses. After a little research about this problem, we can only say it is a problem with the music player and the resolution would be to install another music player application from Google Play. Well guys, this is about it with Samsung Galaxy S3 problems. There have been cases of other issues reported but they are not nearly as common as these. Regardless of any of the problems above, I personally still recommend you buy the Galaxy S3 because all problems are fixable and when you see how awesome the device is, there’s no time to think about such issues. If you think about it, 20 million other people already bought the device, so this should be really convincing shouldn’t it?